Spirit is a fermented distilled beverage also known as liquor or hard liquor or hard alcohol. It is an alcoholic beverage manufactured by distillation of grains, fruit, or vegetables that have already gone through alcoholic fermentation. Almost, all spirits manufactured contain a minimum of twenty percent alcohol content coupled with different fermented products such as juniper berries, blue algae and many others. Canada possesses 112 distilleries and exports huge quantities of whisky. Vodka and whisky account for a largest share of the spirits market and are the most popular spirits consumed in Canada. According to the research report “Country Profile: Spirits in Canada”, Canada’s spirits industry is growing at a faster pace due to increasing sales channels such as full-service restaurants and cafes or bars. Urbanisation, population ageing, increasing cocktail culture and more variety of spirits are the major factors driving the Canadian spirits market. Corby Spirit & Wine Ltd in Canada has relaunched its Martel range of cognacs, which had a positive impact on the spirits market. Canada’s spirits market has witnessed a steady growth over the recent years due to introduction of limited-edition of popular spirits for various country celebrations. This trend has led to enhancement of the popular brands. Absolut has introduced limited-edition of Absolut Canada and JP Wiser’s Canadian Whisky released a limited edition “One Fifty” bottle. The leading players in Canada’s spirits are Diageo plc, Bacardi Limited, Constellation Brands Inc, Pernod Ricard SA, Suntory Holdings Ltd, Pernod Ricard SA, Corby Distilleries ltd, Tanduay Distillers Inc., William Grant & Sons Ltd, Iceberg Vodka Corporation, Davide Campari-Milano S.p.A and William Grant & Sons Ltd. 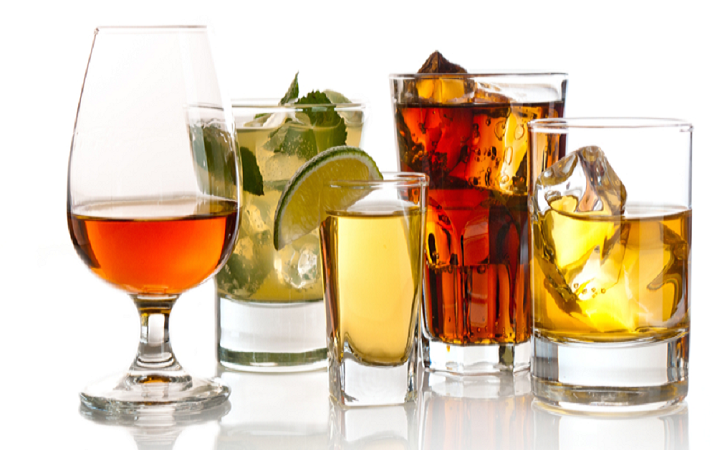 Various spirits available in Canada are vodka, gin, rum, tequila, whisky, brandy, schnapps and more. Irish whiskey, tequila, bourbon/other US whiskey and English gin are the leading spirits within the Canadian spirits market. The various distribution channels in Canada are hypermarkets, supermarkets, department stores, convenience stores, food & drinks specialists, dollar stores, vending machines, e-retailers, on-trade and other general retailers. All the spirits manufactured in Canada use glass, rigid plastics, rigid metal and others packaging materials which are dispensed in the form of bottles and cans. The increasing Generation Y population and affordable consumer spending limit are the major factors driving the spirits sector. Majority of the population consider consuming spirits is a way to unwind and relax after a long day. Therefore, working population support the spirits sector and demand for premium and higher-quality international spirits brands. The sales of spirits produced in Canada remains consistent, especially in the trendy gin, whisky and rum categories. Premiumisation trend within the Canadian spirits industry is expected to accelerate the market over the next few years. Canadian spirits sector is undergoing continuing improvements in terms of manufacturing, quality, marketing and advertising activities. This trend has directed towards a double-digit growth and increased the demand for higher-value spirits. Spirits are considered as a status symbol in Canada with the association of premium labels, quality and taste. The demand for premiumization across all categories of spirits manufactured in Canada has witnessed bright prospects for growth in the industry over the next years.